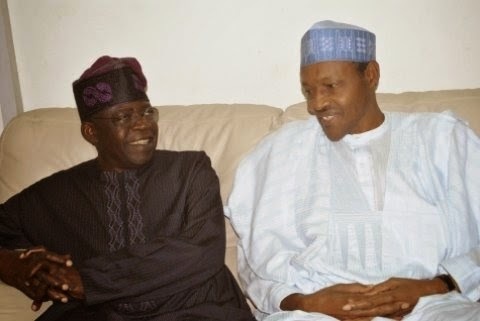 General Muhammadu Buhari, the just selected presidential candidate of the All Progressives Congress (APC), has given the slot of his running mate to Bola Tinubu, national leader of the party, according to TheCable. Buhari’s decision to give Tinubu the slot is apparently based on the voting population of the south-west which he is banking on to upstage the Peoples Democratic Party (PDP) in the 2015 presidential election. An aide to Buhari says. The APC party met today in Lagos to pick a running mate for Buhari and some earlier rumors had it that River's State governor Rotimi Amaechi had been picked. 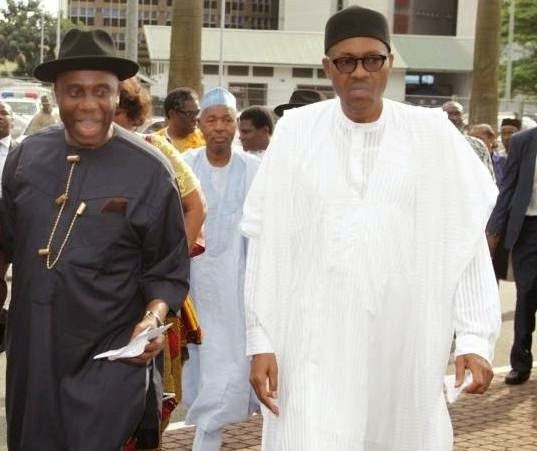 Buhari and Amaechi were spotted leaving together after breakfast this morning at Intercontinental hotel Lagos. However, those rumors were quckly squashed through a press release from the APC party. The selection of Tinubu, if confirmed would have in effect put paid to the chances of Chibuike Amaechi, governor of Rivers state, who was all along tipped to be the vice-presidential candidate. Further discussions are going to be held this weekend, but a quick decision may not be reached. The party still has up till December 18 to submit the name of the nominee to the Independent National Electoral Commission (INEC). Handing over the slot to Tinubu doesn't automatically mean he will take it for himself, but that he gets to select and give the final approval for the candidate. So far, he has not foreclosed the choice of anyone as the VP candidate, but he is opposed to Amaechi – although the Rivers governor has made the biggest financial contribution to Buhari’s campaign. He ruled out Babatunde Fashola, governor of Lagos, who is also a Muslim.